What's the skiing like? Zell's sunny slopes are beautifully groomed and served by fast, modern ifts. Its varied ski slopes are spread across three mountains. Since the gondola was built linking it to Saalbach, Zell now has access to nearly 350km of ski slopes as well as the snowsure glacier slopes of Kaprun's Kitzsteinhorn, just down the road. 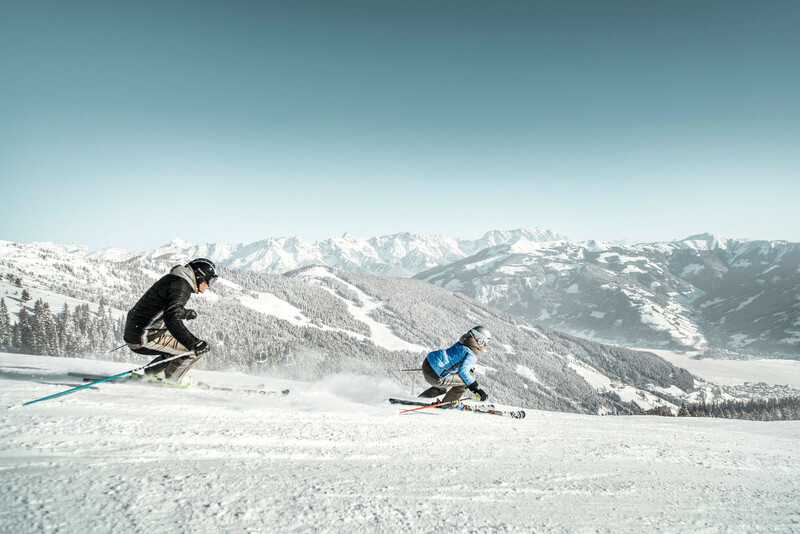 Zell's ski slopes offer fantastic views over the lake as well as some pretty wooded runs with hidden challenges. Best suited to? Beginners and intermediates. The nursery slopes are best at Schuettdorf and from here there are some nice, long beginner slopes to progress to. Intermediate skiers should head to the Sonnkogel sector where they'll find varied red runs and long cruising blues. For the more advanced skiers and boarders, there are three black runs winding through the trees, very steep in places, and offering some great, fun skiing. Freeriding is limited but check out the open area near the Kettingbahn which is great on powder day. What's the resort like? The charming town of Zell enjoys a pretty setting next to a lake of the same name. It is larger than the average Austrian ski resort and its car-free medieval centre has a good selection of bars and restaurants. The Zell am See Casino is located in the Grand Hotel. Accommodation tends to be bunched around the the gondolas and there are also lodgings further away with some good, regular bus links. Off the slopes? The pretty, pedestrianised town centre has a good selection of shops as well as the romantic Christmas market in the main square. The Zell am See Leisure Centre has an indoor pool, sauna and wellness area. For even more relaxation, Kaprun has the 20,000-square-metre Tauern Spa complete with 11 pools, 10 saunas and steam baths. Other options include toboganning and ice skating. Downside? Many slopes get a lot of sun and, despite the serious snowmaking capabilities, there is still the chance of slushy runs at low altitude. Get snow reports and powder alarms from Zell am See - Schmittenhöhe straight to your inbox!